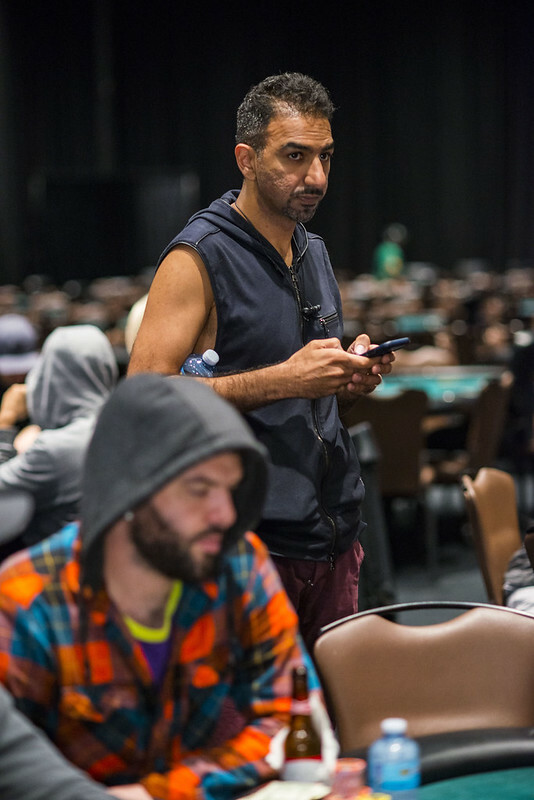 Following a limp from early position, Faraz Jaka (pictured above) raises to 48,000 from the small blind. 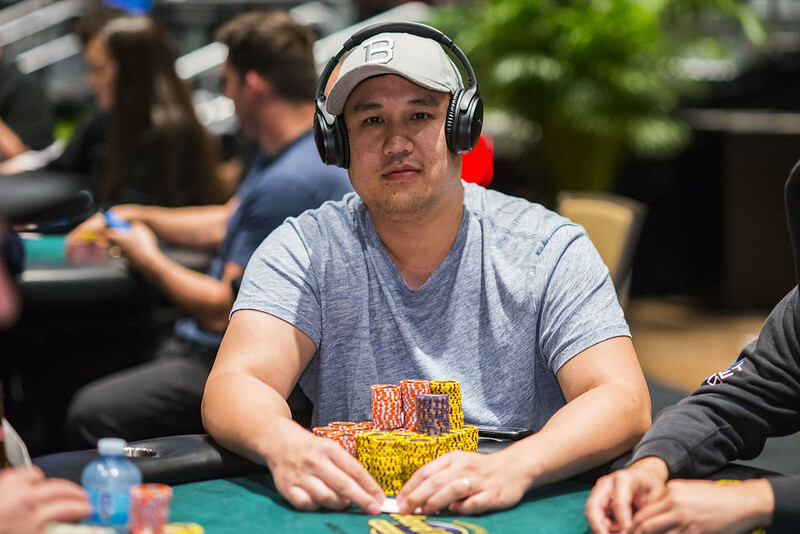 From the big blind, Jerry Wong (pictured below) three-bets to 115,000 and the limper folds. Jaka shoves all in for roughly 475,000, and Wong calls. The board runs out and Jaka is eliminated.